What's Available for older adults? Glenview Presbyterian Church has a long, proud history of serving our community, and we're excited about our congregation's future together. Our roots in North Toronto go back to 1860. We started worshiping at our present site in 1929, and just recently completed renovations to make our building fully accessible, to help meet our needs and yours going going forward. At Glenview, worship is at the centre of our life together. We offer meaningful and inspirational services each Sunday, aided by a choir and music program that strive for excellence across a diverse range of musical styles. Glenview’s doors are also open to the surrounding neighbourhood. We are home to a number of community groups and programs that gather in our meeting rooms and church hall. We invite you to scroll down and learn more about the community we're building here. We'd love to see you and your family come for a visit. Kidsview is the name of Glenview’s active church school program. A vital part of Glenview’s ministry is investing in our youth, and helping to shape, nurture and welcome them into our congregation. During each week’s main Sunday service, our students are given a brief lesson by our minister, then leave the service to attend classes aimed at different age groups, all staffed by our dedicated group of volunteer Christian educators. The lessons feature innovative ways to build basic biblical literacy and tackle larger themes, such as the role of women in the bible, environmental stewardship, or the reconciliation science and faith. Outside of Kidsview, Glenview offers several programs aimed at children in the neighbourhood. Girl Guides, Brownies and Sparks meet weekly in our Church Hall (Monday and Thursdays). Sportball offers several program Friday morning, offering multi-sport activities for both parents and young children. On Saturday mornings, the Children’s Arts Theatre school offers professional theatre training for children ages three to fifteen. Glenview creates a special place for “tweens” and teenagers in our congregation. 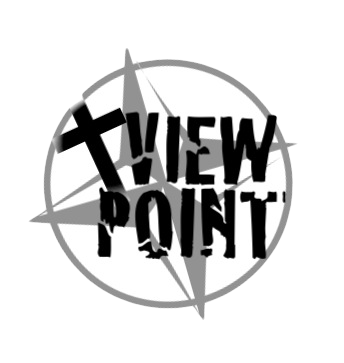 Our ViewPoint group meets regularly on Sunday mornings. We offer confirmation classes so that our younger members can develop a deeper appreciation of their faith, and become active members of our congregation. At Glenview, our younger members learn the value of playing an active role in their community. Throughout the year, they are involved in various service and outreach projects such as food drives, neighbourhood clean ups, and volunteering at our Out of the Cold program. During the week, Glenview hosts meetings for Mumvet, a Toronto Mother's group. They hold weekly get-togethers for mothers with school-aged children new mothers, providing fitness classes, parenting-related discussions , and a chance to get together with other neighbourhood mothers. Feel free to join us on Sunday, confident that your newborn will be well cared for. Glenview’s nursery is a large, bright, safe, well equiped environment for our infants and toddlers. The nursery operates during the 10:30 am service each Sunday year round. It is well staffed with experienced adult childcare providers. Toys are plentiful and our facilities include a sink and change table. We'd love to help you start your child on a journey of faith within our church community. We see baptism as an important milestone for young children and their families and a wonderful way to welcome them into their Glenview family. Please contact our ministry staff if you're interested in learning about Baptism for your child (we also Baptize adults). Glenview offers events throughout the year for families: including pumpkin carving nights before Hallowe'en, an annual Advent festival where kids and adults make crafts together; Games Nights to chase winter’s cold away, and more. We believe in providing families with ways to give back to their surrounding communities - through clearing garbage out of a nearby ravine, or helping to serve dinners to the less fortunate during Out of the Cold. The Glenview Outreach “GO” Bus provides transportation to and from Glenview’s 10:30 am Sunday service at no charge for those with mobility issues. Members of the congregation and visitors are welcome to reserve a ride on the bus every week or as needed. Learn more about the Glenview Outreach bus. Glenview offers many opportunities for fellowship among the senior members of our community. Our Retired Men's Club arranges a lively series of lectures and discussion throughout the year. Our Ceilidh Club (pronounced Kay-lee) organizes regular theatre trips, and runs Glenview's yearly spring plant sale.